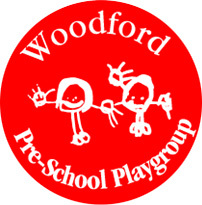 Woodford Pre-school is set in a large hall and is run by a highly qualified and experienced team of practitioners. High levels of enthusiasm from the staff ensure the children are fully engaged in their chosen activities and they are encouraged to pursue new challenges on a daily basis. The setting has a big outdoor space, laid to lawn, with a soft safety surface for bike riding etc. The garden is accessed throughout the year, providing a varied learning experience. Snack time at the pre-school is an opportunity for the children to serve themselves a selection of healthy snacks and drinks, whilst having a chat about the “ways of the world”. Woodford Pre-school is a long established setting and has been part of the community for 50 years, and at the last Ofsted inspection was rated GOOD. Do come and visit, appointments are not necessary. Also, on Tuesday afternoons, we run a group for older children that prepares them for school. On Wednesday afternoons we provide a drop in toddler group. We aim to treat all children attending our setting with the same respect, regardless of their needs. We are fully inclusive, and believe that all children have something to share with others. We are all experienced staff, whom have many years knowledge of working with children with additional needs and are fully aware of what a difficult time it can be for parents. As a setting, we understand that concerns be addressed sooner rather than later, and that parents are fully involved in that process. Parents as the principle educators, should be updated regularly as to their child’s progress and development and we do that in a variety of ways, meetings, reports, tracking and “drop in “ chats at the start or end of each session. We also work closely with outside agencies, such as speech and language therapists, home visiting, child psychologists, and SEND advisors. As a setting we gain a lot of information and advice from these agencies, which we use to support our children. We also receive in some cases, inclusion funding, which we use to pay for one to one support to work with our SEND children, allowing for strong bonding and trust to develop. Manager - Caroline Kwok, has completed numerous courses covering all areas of Special Educational Needs and is also Makaton trained. SENCO - Sadaf Gil, an experienced Senco practitioner, who has also completed the full Send course and who also attends on a regular basis further Send training and forums, to ensure that she is up to date with current policies. Deputy Senco - Julie Belcher Has attended the full Send course and has worked with a variety of children with additional needs. Learning journals, IOPs, Daily planning for each individual child. We are an experienced team who have worked with many children with a variety of needs, but know the importance of asking for advice when necessary. Children are observed on a regular basis to ensure that they are reaching goals set, and any objectives are shared with parents/ carers to enable a smooth learning and development process. When a child starts with us, we complete after a short while, a two year old progress check. This gives us a baseline to work upon and to see how a child develops whilst in our care. Initially, a child will be observed in the three prime areas of learning, Personal, Social and Emotional Development, Physical Development and lastly Communication and Language Development. It is important that a child needs to get a good understanding in these areas before they can develop further. Some of our children have an Individual Outcome Plan (IOP) which identifies agreed outcomes & targeted small steps. It is reviewed termly with parents & other professionals involved. Woodford Pre-school Playgroup is fully accessible to all, with easy access from the street to the hall. There are no stairs within the setting and access to the garden is directly off the main hall. The garden is fully enclosed and wheelchair friendly. All activities are planned to allow all children to access them, whether it be with additional support or different equipment. We ensure when planning that activities are set out both on the floor and at tables, allowing access to all. Activities are spread out, allowing for room to move between them in wheelchairs, walking, crawling or on crutches. We discuss with parents, prior to their child starting, any equipment we may need to acquire to make their child's time with us as pleasurable an experience as possible. Regular risk assessments are carried out to ensure the safety of all our children. When a child is moving on to school we will send the keyperson with the child to visit, along with sharing photographs of their new setting. We ensure that any information that would make the transition easier, is up to date and shared between the relevant professionals. We also, hold a transition meeting with parents of children changing settings, providing an opportunity to provide information and also allow parents to ask questions. We aim to make the transition to new settings as easy as possible for each of our children and parents.